The battle is real! Behind the veil, great drama as the controversy rages between good and evil. Find out who Leviathan is, how he’ll be defeated and how the Saints possess the Kingdom. In today’s program we’re going to take a look behind the veil that separates the physical from the spiritual, the natural from the supernatural. We’re going to study some of the key lessons about the Great Controversy between good and evil as it’s revealed to us in the Book of Job. The Book of Job is quite extraordinary. It was written by Moses when he was in Midian tending sheep, and is probably the first book of the Bible ever written, even before the Book of Genesis. Moses was being prepared by God for the great work he was to do on behalf of God’s people, and he received divine inspiration during that period to write those two books before he went to Egypt to deliver the children of Israel. God wanted us to know what is really going on, the reality that both He and we are dealing with. The story of Job allows us to take a peek at what goes on behind the scenes in the great cosmic conflict between good and evil. The man called Job was a prosperous and God-fearing man. Let’s read “There was a man in the land of Uz, whose name was Job, and that man was perfect and upright, and one that feared God, and eschewed evil. And there were born unto him seven sons and three daughters. His substance also was seven thousand sheep, and three thousand camels, and five hundred yoke of oxen, and a very great household; so that this man was the greatest of all the men of the east” (Job 1:1-2). Job was such a devoted man of God that he continually offered sacrifices on behalf of his children, saying: “It may be that my sons have sinned, and cursed God in their hearts” (Job 1:5). Job’s righteousness had been noticed in heaven, as we’ll see in a moment. “Now there was a day when the sons of God came to present themselves before the Lord, and Satan also came among them. And the Lord said to Satan, From where do you come? So Satan answered the Lord and said, From going to and fro on the earth, and from walking back and forth on it. Then the Lord said to Satan, Have you considered My servant Job, that there isnone like him on the earth, a blameless and upright man, one who fears God and shuns evil? So Satan answered the Lord and said, Does Job fear God for nothing? Have You not made a hedge around him, around his household, and around all that he has on every side? You have blessed the work of his hands, and his possessions have increased in the land. But now, stretch out Your hand and touch all that he has, and he will surely curse You to Your face! And the Lord said to Satan, Behold, all that he has is in your power; only do not lay a hand on his person. So Satan went out from the presence of the Lord” (Job 1:6-12). This passage is so loaded with revelation that we’re going to take it verse by verse. “Now there was a day when the sons of God came to present themselves before the Lord, and Satan came also among them”. Hmmm… Who are these sons of God? And why was Satan among them? We’ll get an important clue in the next verse: “And the Lord said to Satan, From where do you come? So Satan answered the Lord and said, From going to and fro on the earth, and from walking back and forth on it”. Adam was a son of God. In Luke Chapter 3 the disciple Luke is tracing the genealogy of Jesus all the way back to Adam. We read in verse 38: “which was the son of Enos, which was the son of Seth, which was the son of Adam, which was the son of God”. Before Adam sinned God had entrusted to Him the stewardship of the planet and given him dominion over it. It’s very likely therefore that the other sons of God who came to present themselves before the Lord were also stewards of other created worlds. There’s another piece of evidence that clearly confirms this later on in Job 38:7. Here the Lord is talking about the creation, and He mentions that “the morning stars sang together, and all the sons of God shouted for joy”. Here’s one more clue as to who the sons of God are. When God asked Satan where he was coming from Satan answered: “From going to and fro on the earth, and from walking up and down in it”. This response is very significant and reminds me of the passage in Genesis 13 where Abraham is entering the land of Canaan and the Lord says to him: “For all the land which thou seest, to thee will I give it, and to thy seed for ever. … Arise, walk through the land in the length of it and in the breadth of it, for I will give it unto thee” (Genesis 13:15, 17). And in Joshua 1:3 the Lord says to Joshua (remember Joshua took over from Moses to bring the children of Israel into the promised land): “Every place that the sole of your foot shall tread upon that have I given unto you, as I said unto Moses”. In other words, when Satan said he was “going to and fro in the earth and walking up and down on it” he was affirming his possession of the earth, he was not so subtly declaring that the earth was his territory. Satan came before God representing planet earth who used to be Adam’s territory. 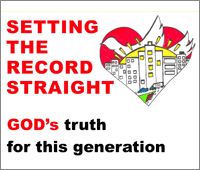 Because of his sin Adam lost the stewardship of the planet and surrendered it to Satan. The other sons of God that are standing before God are therefore the representatives of the un-fallen worlds, worlds where there is no sin, where Satan hasn’t been able to steal the stewardship. Satan is flaunting the fact before God and before that group of heavenly beings that he has dominion over planet earth. God now responds to Satan’s flaunting: “Then the Lord said to Satan, “Have you considered My servant Job, that there isnone like him on the earth, a blameless and upright man, one who fears God and shuns evil?” The Lord is not so subtly telling Satan, you may have taken possession of the territory but I still have subjects of My Kingdom there. Remember, this dialogue is going on before an audience, the group of representatives of the un-fallen worlds known as the sons of God. Now Satan accuses God publicly before this distinguished group of heavenly beings: “So Satan answered the Lord and said, “Does Job fear God for nothing? Have You not made a hedge around him, around his household, and around all that he has on every side? You have blessed the work of his hands, and his possessions have increased in the land. But now, stretch out Your hand and touch all that he has, and he will surely curse You to Your face!” (Job 1:9-11). What is Satan saying here? He’s saying that Job only fears God because of the many blessings he receives, because it’s in Job’s own self-interest to do so, not because he loves God. Satan taunts God by saying if you remove Job’s blessings from him he will curse you to your face. Ultimately, what is Satan really doing here? He’s putting God on trial before the representatives of the universe. God stands accused by one of His creatures before His other creatures. Because God wants our love for Him to come from our own free will He takes up Satan on his challenge. He doesn’t want the sons of God and the angels to wonder whether Satan is right and Job only serves Him out of self-interest. “And the Lord said to Satan, “Behold, all that he has is in your power; only do not lay a hand on his person. So Satan went out from the presence of the Lord” (Job 1:12). God is so confident of Job’s love and loyalty that He gives Satan permission to remove Job’s blessings from him to test his faithfulness before the universe. But God sets the boundaries: Satan can only go as far as God will allow him to. And the Lord set the boundary at Job’s body, and told Satan he can take away all that Job has, but couldn’t touch his person. This conversation that took place in heaven is going to unleash a whole chain of events on earth upon poor Job, who’s totally unsuspecting that he was the object of this portentous conversation among spiritual beings. Job’s entire world unraveled in a few hours. Everything he had was taken from him. He literally had nothing left but his own life and his wife, and soon he was to lose her too as we shall see. What did this man of God do? “Then Job arose, and rent his mantle, and shaved his head, and fell down upon the ground, and worshipped. And said, Naked came I out of my mother’s womb and naked shall I return thither; the Lord gave and the Lord taketh away. Blessed be the name of the Lord. In all this Job sinned not, nor charged God foolishly” (Job 1:20-22). Let’s pray that God will give us such faithfulness and steadfastness that no matter what the devil throws against us we shall bow down and worship God regardless. Basically Satan is saying sure, he’s lost his blessings, but he still worships you because you wouldn’t let me touch his body. But let me touch his body and you’ll see how he’ll curse you to your face. Just imagine this spectacle going on before the leaders of the created worlds, of which only Adam was missing because Adam sinned and therefore had died. Do you believe Satan’s insolence to dare challenge God publicly in this way? The Lord is on public trial and wants His name cleared. He wants the heavenly audience to witness for themselves that Job loves God not for his health or his possessions but because Job really loves his creator: “And the Lord said to Satan, “Behold, he is in your hand, but spare his life.” So Satan went out from the presence of the Lord, and struck Job with painful boils from the sole of his foot to the crown of his head. 8 And he took for himself a potsherd with which to scrape himself while he sat in the midst of the ashes” (Job 2:6-8). Poor Job! He was reeling from so many afflictions being poured out upon him without a breather. And now Satan uses his wife to tempt him further, as if he hadn’t been tempted enough. “ Then his wife said to him, “Do you still hold fast to your integrity? Curse God and die!” But he said to her, “You speak as one of the foolish women speaks. Shall we indeed accept good from God, and shall we not accept adversity?” In all this Job did not sin with his lips” (Job 2:9-10). This is the last we hear of Job’s wife. She allowed Satan to use her. She’s never mentioned in the story again. As for Job, that day it was written in the books of heaven that Job was a man of outstanding integrity and reverence for God and didn’t sin with his mouth. The story of Job is heading towards a very dramatic climax. But before reaching the climax the story continues to unfold with Job trying to make sense of what’s happening to him. Remember, you and I have the benefit of scripture and of the revelation of what was being played out behind the veil. But poor Job didn’t have that benefit. All he knew was that everything he had, everything God had blessed him with, had come crashing down without warning and he’d lost everything: his property, his health and his children. How would you feel if all this happened to you? Would you still trust in God? Wouldn’t you be looking for an explanation? Wouldn’t you be trying to make sense of it all? That’s what Job is trying to come to grips with. Job has three friends that come to comfort him. Each of his friends in turn tries to provide a theological explanation as to why this is happening to him. Of course, Job’s friends believed that he was being punished for sin. At the time, whenever God’s people went through great trials, it was believed that their tribulation was retribution or punishment for sin. In fact this belief persisted even until the time of Jesus. There is an interesting story in the gospels, in John 9, which concurs with this. The story is about a blind man that Jesus healed. Let’s read John 9:1-3: “And as Jesus passed by, He saw a man which was blind from his birth. And His disciples asked Him, saying, Master, who did sin, this man or his parents, that he was born blind? Jesus answered, Neither hath this man sinned, nor his parents, but that the works of God should be made manifest in him”. Jesus then proceeded to heal the man. Something similar happened in the story of Lazarus. When Jesus learned that his friend Lazarus was sick He said: “This sickness is not unto death, but for the glory of God, that the Son of God might be glorified thereby” (John 11:4). Back to Job now. So Job’s friends had come supposedly to “comfort” him. But they were terrible comforters! In fact, everything they said just made Job feel worse and worse. All the way from Chapter 3 through Chapter 37 are rather long discourses by Job or his friends. Job wishes he were dead and he’s lamenting his fate. Job’s friends are speaking foolishness, accusing him of hypocrisy and hidden sin. What is so interesting for us to observe – we who have the advantage of knowing what went on in heaven – is that Job’s friends come up with all kinds of erroneous explanations for why Job is going through this. Not once did Satan’s name come up. Not once did it even enter their minds that the destroyer, the enemy of our souls, could be the real perpetrator and the hidden cause of Job’s tribulation. The words of Jesus that we read earlier in the story of the blind man and of Lazarus are confirmed in the story of Job. Satan was the instigator, the real culprit. But God allowed it for a reason. God wanted the entire universe to see that this man called Job was faithful to God come what may, so that Job’s character may be vindicated before all witnesses. Job loved God and remained faithful to Him because he sincerely loved Him, not because of the blessings God had blessed him with. Through the vindication of Job’s character and the demonstration of his pure love for God, God’s character is vindicated. God is shown to be someone who elicits pure love from His subjects who obey Him of their own free will. This is what the Great Controversy between good and evil is leading up to. The great accuser, the devil, accuses us, but most importantly he accuses God. The Great Controversy started in heaven. When he first sinned in heaven Satan accused God before the angels and lied about God’s character. When the Great Controversy is fully ended, Satan will be unmasked as a deceiver and God will be seen for what He is, a loving and just God. So back to the question of why is there suffering in the world. There’s suffering in this world because there was and continues to be sin. We suffer not necessarily because we sin, but because sin gave Satan the legal right to impose his rule on this territory. He’s the cause of all suffering in this world: either through his direct works or by working through evil human beings that allow themselves to be used by him. John 10:10 tells us that there is an evil one on the loose whose only agenda is to steal, kill and destroy. Satan is out there to hurt whoever he can, especially God’s people. The Lord loves us so much that He really suffers when we suffer. Therefore Satan hurts us to hurt God. This should be no surprise to anyone. We know from the Book of Revelation Chapter 12. First it tells us: “Woe to the inhabiters of the earth and of the sea! For the devil is come down unto you having great wrath, because he knoweth that he hath but a short time” (Revelation 12:12). Then in verse 17 we read: “And the dragon (Satan) was wroth with the woman, and went to make war with the remnant of her seed, which keep the commandments of God and have the testimony of Jesus Christ”. 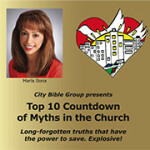 This “woman” is the true church of God and the devil is waging war against her and against God’s people. There’s a major war underway in this universe. Satan is at war against God, and God’s people get caught in the crossfire. Job was being diligent in his service of God – he was attacked not because he was sinning but because he was righteous. 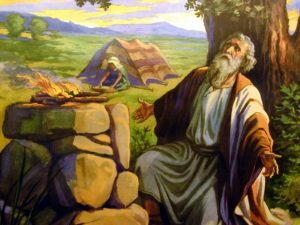 But why did God allow Job to be attacked? The reason is that there was something much bigger at stake. God needed to show the watching universe that Job loved God because God is lovable, not because God was bribing him. God needed to demonstrate that Job didn’t love God only out of self-interest for the benefits of the blessings he received. The universe needed to see that this man Job stood faithful to God despite great loss and heartbreak and illness, because God is worthy of love regardless of the circumstances of our lives. We need to trust in God and have the assurance that when God allows evil to come into our lives it’s because there’s something much higher at stake that we can’t see. If we trust in God we’ll get the ultimate victory and the outcome will be for both His glory and our eternal glory. The story of Job reassures us that no matter what happens to us, God is still on the throne. He sits above Satan and everything else. God sets the boundaries, He tells Satan this far and no farther. Ultimately the Lord will reward His faithful people with a happy ending. It’s very important to note that throughout his terrible ordeal Job never once doubted God. Job never asked himself “Is there a God?”. No, the only question in Job’s mind was “Why is God allowing this?”. The Lord rewarded Job with a happy ending. It’s very interesting that the Lord rewarded Job not only with full restoration but also with this personal visit. He wanted Job to know that in all His trials God hadn’t left him alone not even for a moment, that He had observed everything that was said and done. But there’s another angle of the story I’d like to focus on. His heart is as hard as stone, even as hard as the lower millstone. When he raises himself up, the mighty are afraid; because of his crashings they are beside themselves. Though the sword reaches him, it cannot avail; nor does spear, dart, or javelin. He regards iron as straw, and bronze as rotten wood. The arrow cannot make him flee. Slingstones become like stubble to him. Darts are regarded as straw. He laughs at the threat of javelins. He makes the deep boil like a pot; he makes the sea like a pot of ointment. He leaves a shining wake behind him; one would think the deep had white hair. On earth there is nothing like him, which is made without fear. He beholds every high thing. He is king over all the children of pride.” (Job Chapter 41). In the light of that let’s consider a few more verses from Job 41. The Lord is speaking: “No one is so fierce that he would dare stir him up. Who then is able to stand against Me? Who has preceded Me, that I should pay him? Everything under heaven is Mine. I will not conceal his limbs, his mighty power, or his graceful proportions” (Job 41:10-12). “Upon earth there is not his like” (Job 41: 33). Indeed he’s the prince of this world. This creature is over anything and everything on earth. Only God Himself who created him is above him. Leviathan is Satan in a different guise. We’ll consider a couple more passages and then we’ll be able to connect all the dots. I’m sure you’re familiar with this passage in Ezekiel 28 speaking about Lucifer: “Thus says the Lord God: You were the seal of perfection, full of wisdom and perfect in beauty. You were in Eden, the garden of God; Every precious stone was your covering: The sardius, topaz, and diamond, beryl, onyx, and jasper, sapphire, turquoise, and emerald with gold. The workmanship of your timbrels and pipes was prepared for you on the day you were created. You were the anointed cherub who covers; I established you; you were on the holy mountain of God; you walked back and forth in the midst of fiery stones. You were perfect in your ways from the day you were created, till iniquity was found in you. By the abundance of your trading you became filled with violence within, and you sinned. Therefore I cast you as a profane thing out of the mountain of God; and I destroyed you, O covering cherub, from the midst of the fiery stones. Your heart was lifted up because of your beauty; you corrupted your wisdom for the sake of your splendor; I cast you to the ground, I laid you before kings, that they might gaze at you. You defiled your sanctuaries by the multitude of your iniquities, by the iniquity of your trading. Therefore I brought fire from your midst; it devoured you, and I turned you to ashes upon the earth in the sight of all who saw you. All who knew you among the peoples are astonished at you. You have become a horror, and shall be no more forever” (Ezekiel 28:12-19). 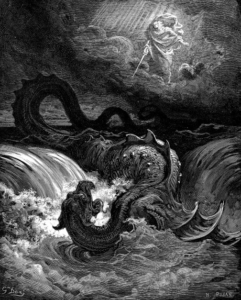 “In that day the Lord with His severe sword, great and strong, will punish Leviathan the fleeing serpent, Leviathan that twisted serpent; and He will slay the reptile that is in the sea”. Okay! So here’s the missing link between Job 41 and Ezekiel 28. Leviathan has a dual nature, which shouldn’t surprise us, since angels have the ability to morph themselves into different guises or appearances. Satan morphed himself into a serpent in the Garden of Eden, and he also takes on the form of a monstrous crocodile. When God destroys Leviathan He’ll destroy both, the serpent and the crocodile. Now that we’ve established that Leviathan is Satan, let’s pick up the thread again in the story of Job. Why would the Lord start talking to Job about Leviathan? Why would He even bring it up? What the Lord is actually communicating to Job in code language is what He (God) is up against. God is trying to tell Job “This is a creature I made who turned against Me. This proud and untamable being is the father of the children of pride and of the children of disobedience. He’s the cause of all evil in the universe. He corrupted my creation. This is the problem I’m dealing with, son. You didn’t stand a chance against Leviathan. I’m the only one who can destroy him, and I will in due time”. In Job Chapter 42, the last chapter of the Book of Job, we find out that God is very displeased with Job’s friends. They’d come supposedly to comfort Job but in reality they did much evil surmising. The Lord says to Eliphaz the Temanite who was the ring leader: “My wrath is kindled against thee, and against thy two friends: for ye have not spoken of me the thing that is right, as my servant Job hath” (Job 42:7). Essentially they’d been saying that these terrible things happened to Job as a punishment from God. Here God is setting the record straight and letting them know that He wasn’t punishing Job. So the Lord instructs them to bring seven bulls and seven rams and go to Job and offer the sacrifice with Job and Job will pray for them, because only Job was acceptable in the sight of God (Job 42:8). Now the Bible states: “And the Lord turned the captivity of Job, when he prayed for his friends; also the Lord gave Job twice as much as he had before” (Job 42:10). “So the Lord blessed the latter day of Job more than his beginning; for he had fourteen thousand sheep, and six thousand camels, and a thousand yoke of oxen, and a thousand she asses. He also had seven sons and three daughters” (Job 42:12-13). The Lord restored Job to a new family and multiplied his possessions, and the story ends: “After this lived Job an hundred and forty years, and saw his sons, and his sons’ sons, even four generations. So Job died, being old and full of days” (Job 42:16-17). Although Job’s story did have a happy ending here on earth, for the rest of us the happy ending – eternal life and eternal glory – won’t necessarily be here on earth. But with absolute certainty we’ll get our prize in heaven. There’s another happy aspect to this story. Through Job’s words and actions he gave a powerful testimony in defense of God to all the heavenly beings that were watching: that God’s government is based on love and free will. The story of Job is an example and an admonition for our generation. Job remained faithful despite incredible hardship! In this end time that we live we may be called upon to lose everything. God’s people will go through a time of great tribulation. But be of good cheer, because Jesus has overcome the world. “Indeed we count them blessed who endure. You have heard of the perseverance of Job and seen the end intended by the Lord – that the Lord is very compassionate and merciful” (James 5:11). “he who shall endure until the end, the same shall be saved” (Matthew 24:13). How do we get to the end of the Great Controversy? What needs to happen so that God can finally slay Leviathan, that twisted serpent and the reptile that is in the sea? Well, the Plan of Salvation has several phases that culminate in the Final Judgment and the total eradication of evil from the universe. First, there was the cross. By the cross Jesus redeemed His people and reclaimed the territory of Earth. But He hasn’t yet taken His people home nor has He fully possessed the territory yet. At His second coming Jesus will “send His angels with a great sound of a trumpet, and they will gather together His elect from the four winds, from one end of heaven to the other” (Matthew 24:30). The dead in Christ will rise first in their glorified bodies, followed by the living, who will be translated as Enoch was. “For the Lord Himself will descend from heaven with a shout, with the voice of an archangel, and with the trumpet of God. And the dead in Christ will rise first. Then we who are alive and remain shall be caught up together with them in the clouds to meet the Lord in the air. And thus we shall always be with the Lord. “ (1 Thessalonians 4:16-17). Anyone who isn’t brought to heaven at this point, when Jesus returns, is eternally lost. Those who were dead before Jesus’ second coming died and will be resurrected at the second resurrection. Those who are alive when Jesus comes will be destroyed by the tumultuous events that will take place and be burned by the fire of His coming. In Revelation 16 the angels in heaven confirm the justice of God upon the wicked. In Revelation 19 the saints who were taken to heaven rejoice that God has destroyed Babylon and the wicked, who lie destroyed all over the face of the earth. Jesus has taken His saints to heaven to perform a work of judgment. The earth has been utterly destroyed and is uninhabitable: only Satan and his evil angels are left roaming the earth. The earth is “void and without form” according to Jeremiah 4:23. Heaven is the only place where this phase of the judgment can be carried out. The saints will judge the world meaning the wicked and will also judge angels meaning the fallen angels (1 Corinthians 6:2-3). The judgment of the wicked will last one thousand years – this period is called the millennium and it’s referred to in Daniel 7:22: “Judgment was given to the saints of the most High, and the time came that the saints possessed the kingdom”. The saints confirm each and every one of God’s judgments, they can find no fault with any judgment pronounced by God on any wicked person or any wicked angel. God is vindicated in the eyes of the saints as a fully just and righteous God whose judgments are fair. ‘Thus says the Lord God: Because your heart is lifted up, and you say, I am a god, I sit in the seat of gods, In the midst of the seas,’ Yet you are a man, and not a god, Though you set your heart as the heart of a god … Therefore thus says the Lord God: Because you have set your heart as the heart of a god, Behold, therefore, I will bring strangers against you, the most terrible of the nations. And they shall draw their swords against the beauty of your wisdom, and defile your splendor. They shall throw you down into the pit, and you shall die the death of the slain in the midst of the seas” (Ezekiel 28:2, 6-8). Tagged Adam, Bible, Book of Job, final judgment, God, good vs. evil, great conflict, Great Controversy, heaven, Jesus, Job, Judgment, Kingdom, Leviathan, Lucifer, Revelation, Satan, sons of God, veil, war.